It’s been a while since I’ve done this, so bear with me…! Saha receives the ball, with Gallas stood (too far) off him. He’s able to hold it up, and look to spread play. Baines has got forward well (as he does) and has time, since Hutton has shown a lack of awareness of what’s going on around him. 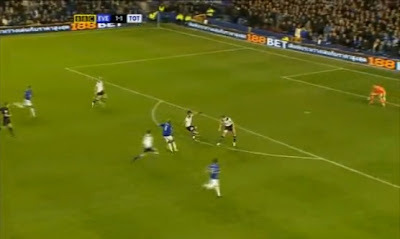 By the time Hutton comes to close Baines, Gallas has dropped off Saha again, leaving him in yards of space. 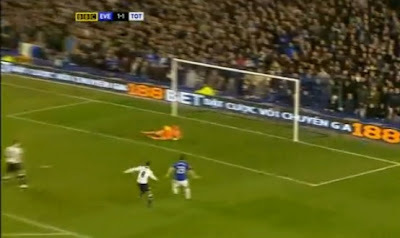 Notice Jenas screaming and pointing at Saha (you can see this better in the video), urging Gallas to get tighter. Gallas and Jenas close in on Saha, but it’s far too late and, even on his weaker right foot, Saha is easily able to get a shot away. Gomes is positioned slightly closer to his left hand post than his right. 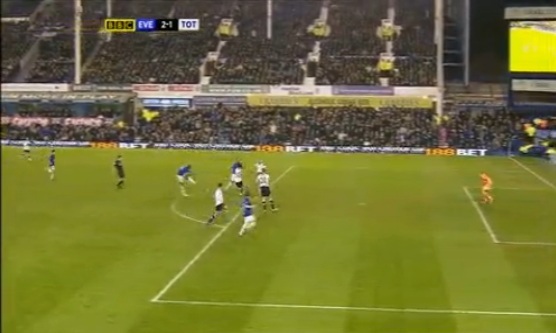 Saha strikes it well, but, having started too far over, Gomes has left himself a lot to do. He can’t get down to it quickly enough and, even thoughh it’s not right in the corner, it finds the net. A poor goal to concede, and so early in the game too. 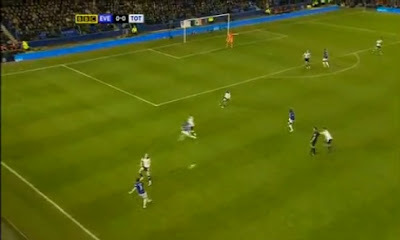 Gallas must know that Saha is capable of shooting from the edge of the box, even with his weaker foot. To stand off him twice was criminal – very poor defending. 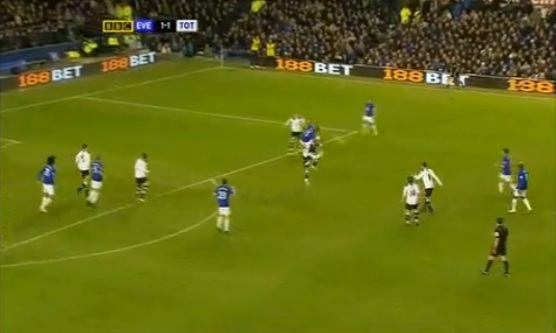 As we play a ball into the Everton box, Distin rises to get above Kranjcar, and heads the ball clear. Jenas and Modric are both pushed forward, supporting the attack. The ball breaks slightly fortuitously to Pienaar, who swivels and plays a fine ball to Beckford, who is being tracked by Assou-Ekotto. 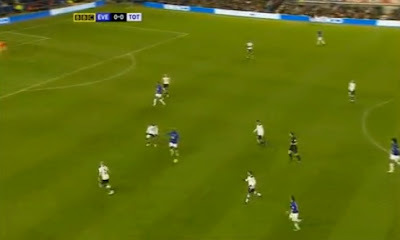 Notice Saha ready to support a counter attack, and Jenas starting to track back. 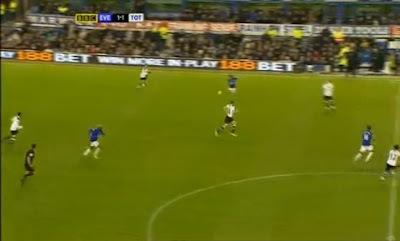 Beckford cleverly lays the ball off first time, knowing that if he takes a touch, Assou-Ekotto could get to the ball. At this point I think one of our players should be thinking of making a cynical foul if at all possible. 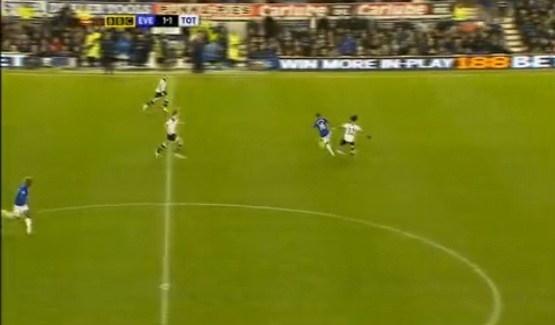 …but it does lack a little weight, so Saha has to check, giving Dawson the chance to get back behind the ball. He backs off, with one eye on Coleman (who you can see coming into the picture), but also knowing that Saha prefers to use his left foot. 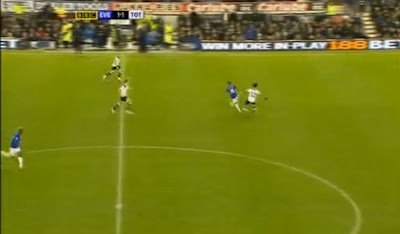 Notice Jenas charging back to help his defence. Saha comes inside on to his left. 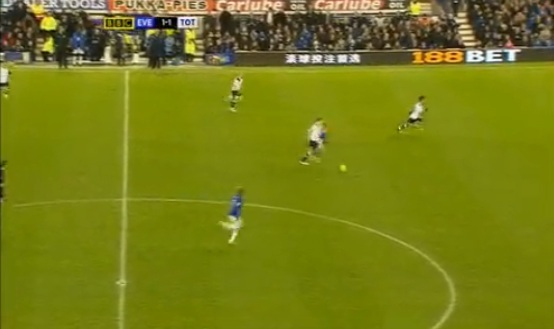 Coleman continues his run, and Jenas intelligently goes that way in case the ball breaks for him. 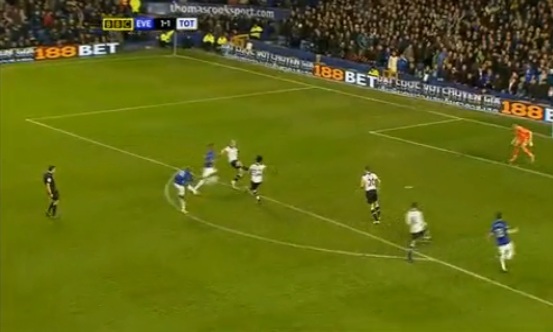 Sightly selfishly, Saha goes for goal, getting plenty of force behind his shot. Jenas for some reason has slowed down – whether he is thinking that we may try to play Coleman offside or thinks that the move is over, it’s this hesitation that lets Coleman get beyond him. The shot is pretty much straight at Gomes and, for me, Gomes should be getting this out into a much safer area. When he parries it feebly out towards the edge of the 6-yard box, the onrushing Coleman is there to nod home. As Saha has his shot, Coleman is played onside by Dawson. A very disappointing goal – should we have brought Beckford or Saha down? Why did Jenas stop? Why didn’t Gomes get the ball over the bar or around the post and to safety? I also think Gomes should have done better with both goals, especially the second. Disagree on the fist goal, Saha is too deep for Gallas to come - if he steps the defense is staggered and it opens up the ball in behind. Jenas should have been closer to prevent the pass... rather than pointing. Wouldn't have happened had Wilson or preferably the Hud been playing. Jenas does well with the second to give himself a chance but then stops to see what will happen? Agree - Gomes should have done better with both, slightly out of position for the first and had time with the second to control his parry away. Having said that Jenas might have checked his run because he thought Coleman was offside ... it was a close thing but the linesman got it right. Spurs look pretty good at defending dead ball situations at present but we are not closing down quickly enough when the ball is moving in defence and attack. The team looked tired. Corluka (why didn't he start?) looked good with Lennon against Fulham and I'm also surprised Bassong didn't start. All of the team seemed scared of Colemans pace and aggression. Interesting about the cynical foul suggestion in the build up to their 2nd goal. Didn't even cross my mind as we just don't do things like that but I bet Phil Neville would have! We didn't get one card last night, so might have even got it away with it. Is this Sandro fella any good? If he is when will he start a game? JJ was too light weight to protect the back 4. Good detail on goals Windy but both were a bit soft imo. MoD laid into BAE big time but he's been brilliant at times this season but the whole team was lacklustre. Gomes is good but not good enough for the long term, we do need a better goalkeeper. "should we have brought Beckford or Saha down?" Definately two keeper errors here but Gomes was well positioned for 3/4 efforts and he stood up well to Coleman's run on goal when he should have scored earlier. 2/3 brave interceptions too, one at the near post. 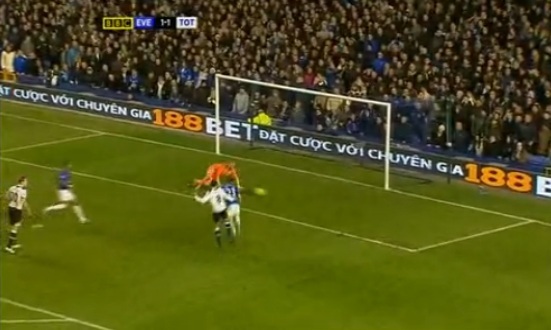 Howard should have saved VderV's header too. Fragile things keepers, Gomes is as good as any taking it all round. Chill out guys, first defeat in a while. After a hectic (and very successful) xmas, they can be forgiven for being a bit sluggish. If it had finished 1-1 we would have all been satisfied and a win would have been a bonus. agree, we do look tired & good analysis on the defence but as we all know this season is gonna be decided on how many goals we score so i think we need to look at those deficiencies crouchy should have done better. to b honest i lost faith in gomes awhile ago he's become a liability who's decision making is shocking. I think last nights game is perhaps the reason y we cant really b considered as title contenders,our away form will not b good enough to mount a challenge. We're crying out 4 a top class striker n two RELIABLE full backs can someone explain to me y redknapp is ignoring sandro? What you didn't point out on the second is that Saha is one on two against Dawson and BAE who are both ball watching. If Terry was defending, he would have gone right through Saha and cleared the ball up the pitch. 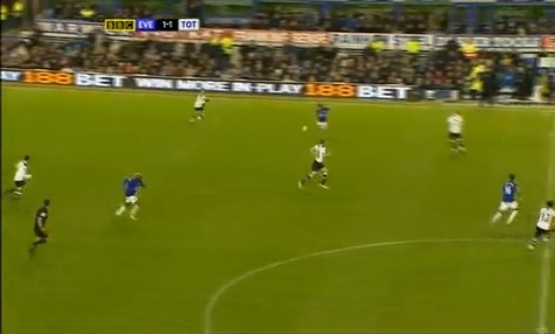 Who cares about Coleman, he's twenty yards behind the ball. Outside of King and Woody, all of our defenders are too passive, have a bad tendency to ball watch, lose sight of runners behind them and play WAY too deep (especially in away matches). If we are left with BAE, Dawson and Gallas in defence when we head to the San Siro our CL aspirations are going to be quickly vanished. I agree with your analysis on the first goal. There is no reason for Gallas to be so deep for the first goal. What is he hoping to achieve hanging around on the edge of his own box. One of our problems is that we don't push up and pressurise teams nearly enough, allowing them time to play in front of us. For the second goal, I also wondered why Jenas, having been the only midfield player to make the effort to get back, stopped before he was goal side of Coleman. However, to me the main fault was with Dawson. With BAE covering, there was no need for him to drop back so much. He seemed scared that if he got too close to Saha, his lack of pace would have been exposed. Bassong has pace to burn and I am not sure why Harry seems to dislike him. Also, where was Gallas? Anon @ 20:58 - he's been decidedly shaky this season. Shame, he was brilliant last year. 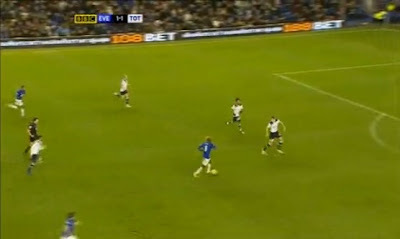 Anon @ 21:20 - watch the video - Pienaar's run (tracked by Lennon) distracts Gallas, and he suddenly drops, leaving Saha in acres. Jenas tries to get back to him, but Gallas suddenly leaving him causes the problem. Anon @ 21:25 - I'd rather Bassong and Dawson started - Dawson doesn't look happy as the left-sided centre back. Anon @ 21:51 - call it what you like, many teams do it. We don't seem to. Jimmy - agree, mixed bag from Gomes. 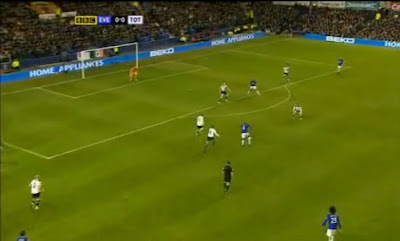 Anon @ 23:04 - Crouch should have buried at least one of the headers, and the offside goal was inexcusable. He did well for the goal and his mazy run though. Anon @ 00:12 - Sandro doesn't look ready to me yet. Be interesting to see him on Sunday. Anon @ 05:04 - I see where you're coming from but, in fairness to Dawson, he probably did the right thing - Saha taking the shot on was probably the lesser of two evils, but we got unlucky with the way it turned out. Anon @ 08:41 - Many people are arguing that Gallas had to drop for the first - I don't see it that way at all, so I'm glad that you agree! 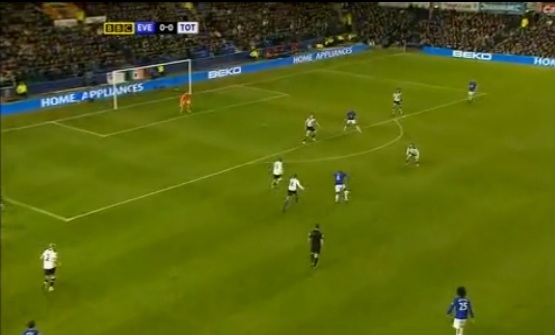 Think Gallas had ventured forward for the second goal, although I'd need to watch again to check.